Stanley Dyer, 77, husband of Carolyn Wilson Dyer, passed away March 25, 2019 in Georgetown, Kentucky. He was born on August 21, 1941 in Carter County, Kentucky to the late Arnold and Ina McClain Dyer. He was a Senior Engineer and Corporate Technical Staff Advisor at IBM/Lexmark. 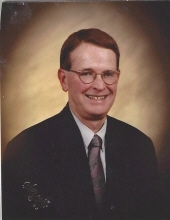 Stan was a member of Georgetown Baptist Church where he was very active in church activities. He was also a member of Lexmark Outdoor Adventure Club. As a photographer and videographer, Stan played a key role in media and communications at The Marshall Center for Christian Ministry at Georgetown College. His willingness to help capture history of events as they happened at Georgetown Baptist was equally phenomenal. Stan was the editor of the book, History Georgetown Baptist Church 1810-2010. Along with his wife, he is survived by sons, Kris Dyer (Amy) of Lexington, Kentucky and Kevin Dyer of Georgetown, Kentucky, daughter, Stanya Kragel (Ken) of Lexington, Kentucky, niece, Blake Wilson Adams (Brent); grandchildren, Kameron Kragel, Karleigh Kragel, Benton Dyer, Sydney Baker, and Lexie Baker; great nieces, Taylor & Jade Adams. He is also survived by brothers, Harold Dyer and John Dyer, both of Grayson, Kentucky, sisters, Loretta Walker of Ohio, Garnetta Walters, and Jennifer Rogers, both of Grayson, Kentucky. Stanley is preceded in death by sister, Viola Smith, and son, Bryan Kelly Dyer. Visitation for Stan will be from 5:00-8:00pm, Thursday, March 28, 2019 at Georgetown Baptist Church. Funeral services will be at the church on Friday at 2:00pm with Rev. Alan Redditt and Rev. Ken Holden officiating, Friends and Family are welcome to visit on Friday from 12:30pm until service time at 2:00pm. Burial will follow in Georgetown Cemetery. To send flowers or a remembrance gift to the family of Stanley Dyer, please visit our Tribute Store. "Email Address" would like to share the life celebration of Stanley Dyer. Click on the "link" to go to share a favorite memory or leave a condolence message for the family.